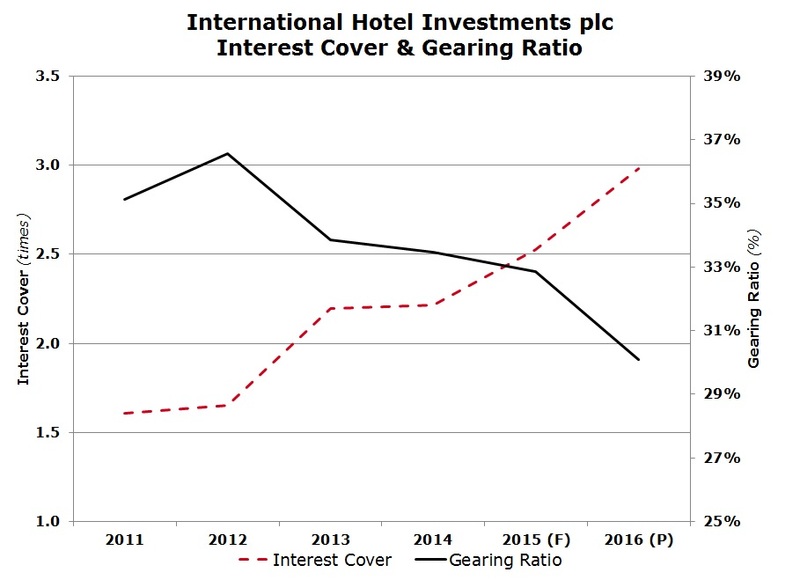 International Hotel Investments plc (IHI) will be the first corporate bond issuer in 2015 after it announced last Friday that it received approval from the MFSA for a new €45 million bond issue redeemable in 2025. The new unsecured bonds will be issued at par with a coupon of 5.75% per annum. Following the tentative listing calendar published by the Malta Stock Exchange at the end of January showing a possible €172 million in new corporate bond issuance during the first half of 2015, many investors have since been enquiring whether these will all take place since no issue was launched during the first quarter of the year. Some of the issues included in this timetable were probably delayed while others may have possibly been postponed indefinitely due to various circumstances. However, in view of the huge levels of liquidity in the local financial system searching for a home, it is hoped that the momentum will increase and other issues will follow in the coming months providing retail and institutional investors with alternative investment options. Last Friday, IHI also announced that it will be redeeming its outstanding €35 million 6.25% bonds at the first early redemption date of 11 July 2015. As such, the primary reason for this new bond issue is to finance the early redemption of the 6.25% IHI 2015/19 bonds. In fact, IHI confirmed that it will be granting preference to the holders of the maturing bonds as at 8 April 2015, to subscribe for the new bonds by surrendering their existing holding. The Prospectus published by IHI earlier this week also indicates that with this new issue, IHI also intends to raise up to circa €9.1 million to partly finance the acquisition of Island Hotels Group Holdings plc. On 16 January 2015, IHI had surprised many investors by announcing that it had entered into a conditional agreement to acquire Island Hotels Group Holdings plc. The deal is not only related to the property in St George’s Bay but it covers the entire business operations of the Island Hotels Group, which apart from 100% ownership of the Bay Point hotel in St George’s Bay also includes 50% of the Golden Sands resort, 50% of the land in Hal Ferh, 100% of Island Caterers Ltd as well as the 50% shareholding in the company responsible for the Costa Coffee franchise in Malta and Spain. Both IHG and IHI had said at the time that the deal was subject to a number of conditions, namely, compliance with regulatory requirements, obtaining shareholders’ approval and IHI completing a due diligence exercise on IHG. During an Extraordinary General Meeting held on 20 February, Island Hotels obtained approval from its shareholders to provide data, including price sensitive information, to enable IHI to perform a due-diligence exercise ahead of tabling a binding offer for the shares in IHG. This should be ongoing at the time of writing and one expects further updates on the findings in the coming weeks. Meanwhile, IHI is continuing in its endeavours to obtain approval from various authorities on the planned development in St George’s Bay. IHI’s ‘Malta vision’ was discussed briefly by CEO Mr Simon Naudi during an analyst meeting held last week. The large prime site area in St George’s Bay (incorporating the land currently owned by IHG) is earmarked to be redeveloped into a mixed-use project possibly incorporating two new luxury hotels (one focused on the leisure market and another on business travelers), as well as high-end residences and commercial activities. Although no initial designs were presented during the meeting, Mr Naudi confirmed that various local and international consultants have been engaged for design and feasibility studies. He confirmed that due to the extent of the development, this will take place in a phased manner and will be ring-fenced from IHI through a specific vehicle. Additional equity will be required to fund this sizeable project and IHI will be searching for new investors in due course to partner them in the special purpose vehicle being set up for this development. During last week’s meeting, a detailed presentation was given on the financial performance of each of IHI’s hotel properties. The expected sharp decline in the financial performance of the properties in Libya and Russia was only partly mitigated by the record performances of IHI’s other properties across Europe, namely Malta, Portugal, Hungary and Czech Republic. During 2014, total earnings before interest tax depreciation and amortisation (EBITDA) excluding the 50% share of the London property, declined by 17.5% to €28.9 million. It was encouraging to see the significant improvements in the hotel performances in Malta, Portugal, Hungary and Czech Republic despite the continued subdued economic environment across Europe. Meanwhile, the performance of the London property only improved marginally and was weaker than originally anticipated. However, Simon Naudi claims that the hotel should experience encouraging growth in 2015 mainly through increased room rates to an average rate of €560 per night. Despite the events in Russia and Libya which are outside the control of IHI, it is encouraging for IHI’s stakeholders to note the progress achieved in the geographical spread over the years. The improved diversification is evident from a comparison of the individual performances of each of the hotel properties over recent years. The Financial Analysis Summary appended to the Prospectus also provides additional detail on the performance of the individual properties as well as the expected performance for 2016. These figures exclude the contribution from the potential acquisition of IHG that ought to be concluded in the coming months. This should not be underestimated given the EBITDA generation of €8.8 million during IHG’s last financial year to 31 October 2014. During last week’s meeting, Simon Naudi also delved into the updated strategy for IHI going forward. The intention is to deviate from the more capital intensive model adopted to date of IHI acting as owner, developer and operator, to a much less capital intensive strategy whereby IHI will act as originator, developer and operator (under the Corinthia brand) on behalf of third party investors and owners. The CEO confirmed that discussions are currently on-going to secure a property under this new business model. Although no specific mention was made on the location, it was indicated that this property is in a large European city. IHI had already reported that a globally-recognized sovereign wealth fund will be the investor in this property. Under this new model, IHI would initially benefit from development fees while upon conversion of this property into a luxurious hotel, CHI will earn management fee income under a long-term agreement. When answering questions from various analysts, IHI’s CEO also confirmed that the company will consider disposing of other properties following the sale of 11 residences in London last year. However, timing is key as IHI would wish to maximize shareholder value. On the other hand, IHI’s executive management also needs to address the working capital deficiency and therefore the sale of property needs to be expedited and should commence with the immediate disposal of the penthouse in London to cover this shortfall.